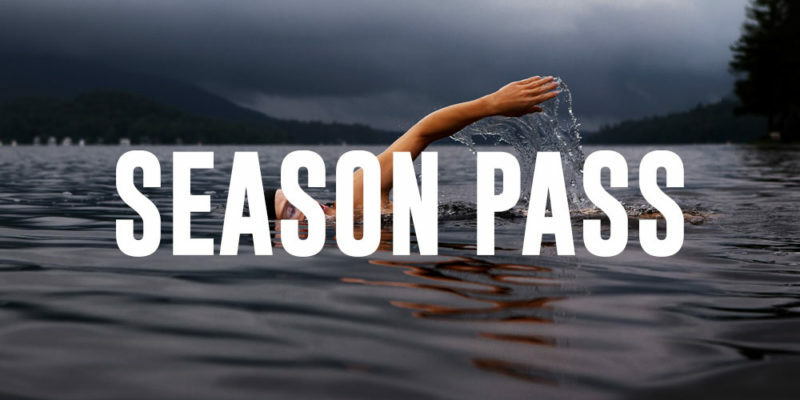 If, you are a swimmer or triathlete and live in the Central New Jersey area and want to improve your open water swimming you need to join dt+n at Peddie Lake in Hightstown, NJ this season. All abilities welcome in the water! Please take the time to read through some commonly asked Questions and Answers. Are dt+n’s swims at Peddie a USAT event and are they permitted? Yes. Hightstown Boro & USAT permitted and insured posted swim times. Swimming outside of scheduled swims is not permitted. You must be a USAT one day or annual member to swim. No. USAT rules state that competitors may wear wetsuits if the water temperature is 78 degrees or lower. If the water temperature is 84 degrees or above, participants may not wear wetsuits. We ask you to align yourself with such rules to carry into your event/s. Is Peddie Lake safe to swim in? Yes. We work in conjunction with the NJ Watershed to ensure weekly water quality. A baseline water quality is gathered for one month prior to the start of the season to ensure water quality. Thereafter, the water is tested each week. Note, the quality of the water can change with extreme weather. We reserve the right to cancel swims for your safety in such cases. How old do participants need to be to swim at Peddie? All participants must be 13 and over on or before 12/31 in the year of event. The parent or guardian must have a photo ID, be over 18 years of age, and sign both the USAT waiver and Peddie Lake Open Water Swim Waiver in dt+n’s online sign-in process. Do I need to tip the lifeguards? Our certified lifeguards,often high school and college students, are manning the kayaks at all times for your safety. No you do not have to tip, but we ask you to please consider tipping at the dt+n tent’s check-in or out for their service. It is great appreciated! I am a beginner. How far should I be able to swim to attend the open water sessions? Our course is approximately 250 yards in length. It is highly recommended that you be able to swim that length before attending. 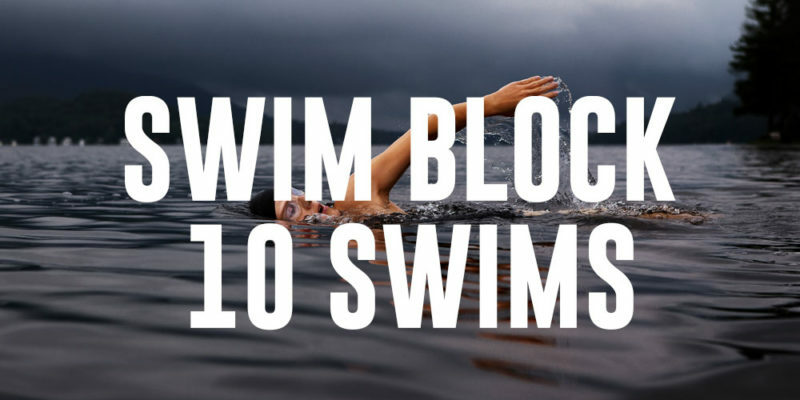 You can swim shorter out/backs from the dock to build confidence. 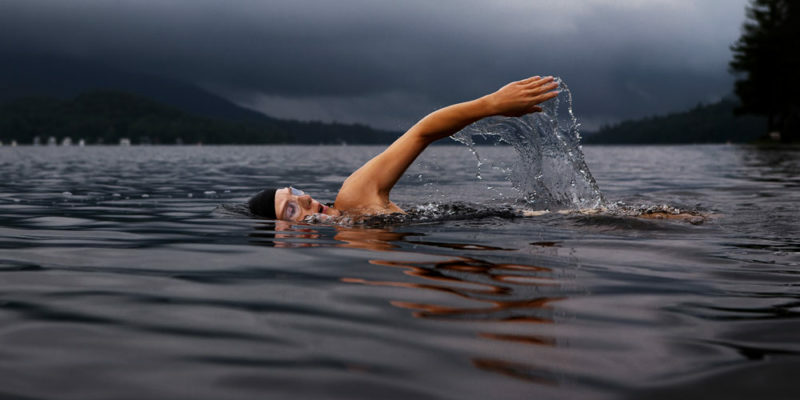 If, you would like more one on one individual attention consider one of our open water swim clinics. Yes(but, not how it was in previous years). With dt+n taking over the event. Our mission was to expedite the sign-in process. If, you can please have all your purchases made online prior to arriving at check-in and have them available for confirmation you will move more swiftly to swim. There will be no ability to ‘paper purchase’ at check-in. You will be asked to step aside and purchase via your smartphone via credit card, show proof then swim. To swift swimming! Can I wear my own swim cap? No. We will provide you with a custom silicone white dt+n swim cap. You must wear the dt+n swim cap provided. No exceptions. How will you know if I entered or left the water? You will be assigned a number via a tyvek band with your name entering the water. You MUST check out upon exiting the water. Failure to do so will result in termination of ability to swim. Please consider your safety. It is our priority. If, you should have any further please do not hesitate to contact us. COST:(NO REFUNDS FOR ANY REASON). Once you have registered, please bring your ticket or receipt (via paper or phone) to the lake, along with a photo ID and your USAT Card. If you don’t have your receipt, photo ID, or USAT Card, you can’t swim. Photo ID, USAT Card, and your receipt are required every time. Don’t assume that the person working registration will know you. Staff are instructed, no receipt, no USAT Card, and no ID, no swimming. USAT rules. dt+n’s Peddie Lake Open Water Swims are USAT sanctioned and insured. Therefore, at each swim you attend you will need to bring your USAT card and photo ID. If, you are not a USAT member you will need a 1-day USAT membership for each swim you attend. One day memberships can be purchased online in dt+n’s checkout process. We do not have the ability to procure annual memberships. Our mission is to expedite the sign-in process. Please have made your purchase prior to arriving at check-in and have your purchase available for confirmation as you will move more swiftly to swim. You can show proof of USAT membership and purchase via your mobile device or printout(card for USAT). If, you don’t bring proof of purchase, USAT membership or your photo ID you cannot swim. USAT rules no exceptions. We will do everything in our power to provide open Water Swims as scheduled. However, if severe weather i.e., lightning/thunder storms are in the vicinity we reserve the right to keep you out of the water and out of harms way. Additionally, we have the water tested weekly. If the water quality does not meet standards on a particular day we will not expose you to such conditions. Thus, causing a cancellation. An announcement will be posted on our Facebook page as soon as a decision relevant to the above is made. Sorry we cannot control Mother Nature. 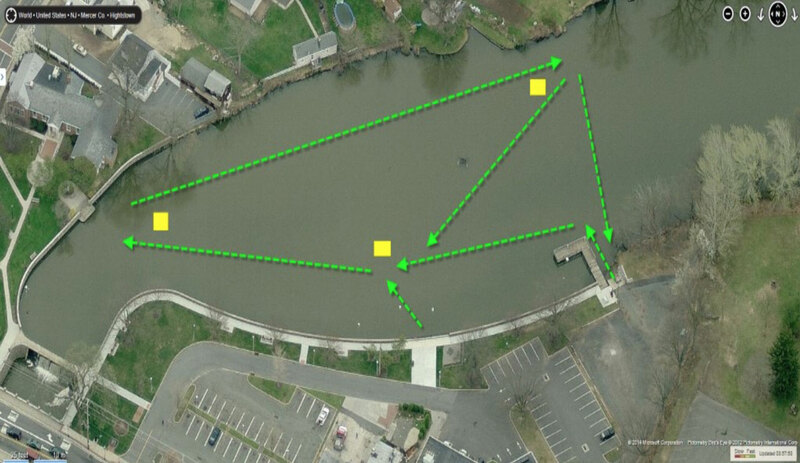 Swimming will be done in a continuous clockwise pattern (buoys always on your right shoulder). Swimmers can start and stop at any time. The distance of the triangular course is approximately 250 yards. Multiple loops can be done to achieve desired time or distance.